Enjoy a truly magical Christmas at the Carlyon Bay Hotel this year. Indulge in award-winning luxury that the whole family can enjoy. 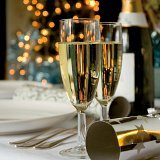 To view our festive tariff for accommodation and to view our Christmas Day menu please download the brochure below. To ensure our guests' requirements are fully met, we recommend to book Christmas reservations by phone, please call our friendly Reservations team on 01726 812304. Please note that if you book online you will be charged the first night's accommodation on your card and agree to the Festive Breaks Terms & Conditions. 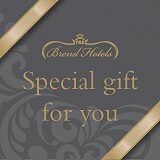 For further details about festive breaks, accommodation tariff, and sample menus, download the festive breaks brochure. It looks like it’s that time of year again, to eat, drink and be merry and there is no better place to do so than here with friends and family at the Carlyon Bay Hotel. 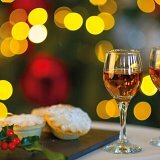 Afternoon A warm welcome to Carlyon Bay, where mince pies and sherry await you on arrival. Morning We have a coach leaving at 10am to take you to the cathedral city of Truro for some last minute shopping. 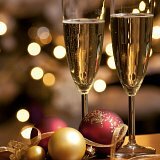 Pre dinner A welcoming champagne reception starts at 6.30pm and is accompanied by “Bugle Silver Band” who will be playing festive music and carols. Dress code for the evening is black tie. After dinner Join us in the Terrace Lounge for live music and dancing. Midnight For anyone wishing to join the midnight mass service, we have arranged transportation to churches of various denominations. Morning Join us at 10:30am on the putting green for a “Wacky Crazy Golf” competition. All levels of play are welcome. Lunch At 12pm we meet in the Terrace Lounge for Champagne and a few carols accompanied by our resident pianist prior to a scrumptious Christmas lunch served at 12:30pm. The Queen's speech will be broadcast in the Spa Bar at 3pm. Leave a little room for afternoon tea in the lounge between 4:30pm & 6pm. Dinner From 7pm we will be serving our traditional Christmas night buffet featuring a wealth of locally sourced produce. After dinner Relax and enjoy some quiet “gaming” at our fun casino that will be running in the Terrace Lounge from 9pm. We will give you your opening “stake” to start you on your way to winning the prize for the largest pot! Morning On this traditional sporting day why not join in one of the many events we have planned? Tee off for our Stableford competition over the 18 holes of our championship course. Contact the golf professional to arrange a tee time. 11am We will be holding our laser clay pigeon shooting challenge on the 9 hole course which is suitable for all ages. Stroll down to the historic port of Charlestown to see the spectacle of the “Harbour swim”, a local annual fund raising event. Evening After dinner enjoy fantastic live entertainment. 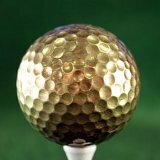 Morning From 10am we will be holding a golf competition over the 9 holes of our pitch and putt course. Prizes galore so why not give it a swing? Midday Enjoy a stroll and explore the local countryside along the cliff to Charlestown Harbour and back, looking for clues to get you home safe and claim first prize on our treasure hunt. Evening After dinner join us in the Terrace Lounge for a night of illusion. Daytime Fun and games all day in the FuNzOnE. Evening Our resident pianist accompanies pre-dinner drinks in the Terrace Lounge. 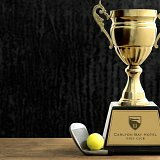 During the day Hotel Stableford Golf Competition - book your tee time direct with the Golf Professional. After dinner Join us in the Terrace Lounge with our resident DJ Rob French.